With the release of Cristofori's Dream...Re-Envisioned, David Lanz has, in a sense, come full circle. Several tracks from this album have been added to the BEAUTIFULinstrumentals station playlist. 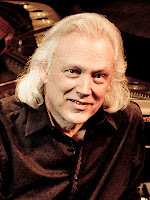 Returning to the music that launched him as an international phenomenon a quarter-century ago when he recorded the original Cristofori's Dream provides the world-class pianist and composer with the perfect opportunity to take stock of his art and both assess where he's been and where he hopes to go. Cristofori's Dream was a million-selling musical thank you note to Bartolomeo Cristofori, the man who invented the piano in the 17th century.